Delicious, fun, and fresh flavors. Southern California is a place of sunshine, sandy shores, and lazy Sundays. One of my favorite weekend activities is to swing by Bear Flag Fish Co. for lunch. This spot exudes SoCal charm and is especially fitting for the perfect summer meal. 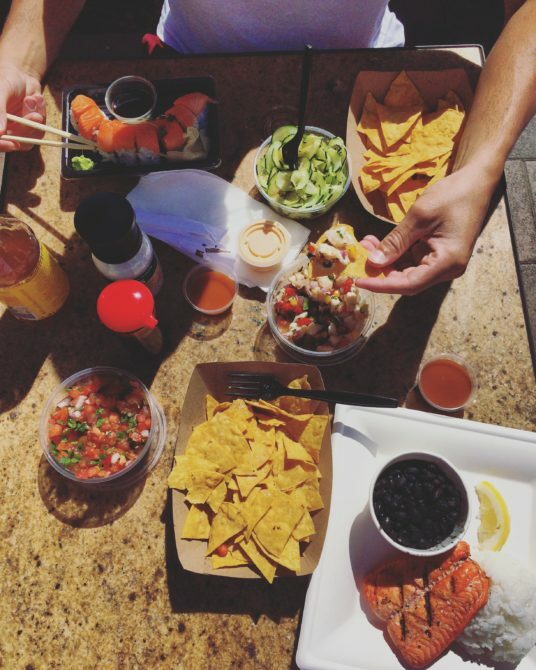 Located along the Pacific Coast Highway in Newport Beach, Bear Flag Fish Co. is most definitely a hip place to eat. The space features vaulted ceilings, a neat whale figurine mounted overhead, and walls covered in old photos of the beach and retro memorabilia. The bright interior is cheerful, and the music and passionate staff are completely welcoming. If you prefer to enjoy Cali’s beautiful weather, you’re welcome to dine outside and enjoy a view of the ocean. Named after the boat the founder grew up working on, Bear Flag Fish Co. is a family affair and has been from the start. The clientele is a mix of locals who know how good the food is and tourists who’ve heard of its greatness. It’s true: the fish is fresh and you can taste the quality in every bite. Their most popular dish is their fish taco made with panko-crusted white fish, cabbage, pico de gallo, and their house sauce served in a tortilla. It’s simple and delicious. 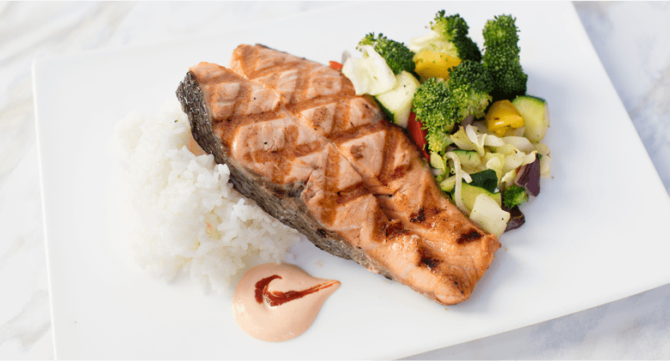 The seafood plate is a great choice for those who know what they like and are looking for fish simply grilled with a choice of two of their sides, like a bowl of their rich clam chowder and fresh mixed green salad or white rice and black beans. 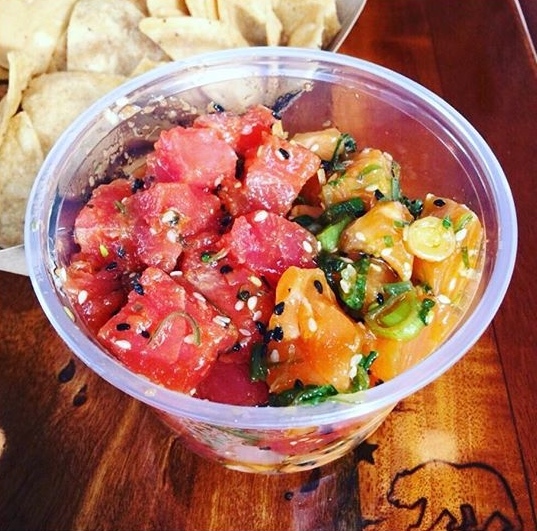 Photo courtesy of Bear Flag Fish Co.
My favorite dish is their Peruvian ceviche. Tangy, refreshing, and not at all fishy, the ceviche is the perfect snack and is healthy too. Scoop it up with their phenomenal chips for a slightly less healthy lunch, and you’ll be in heaven. 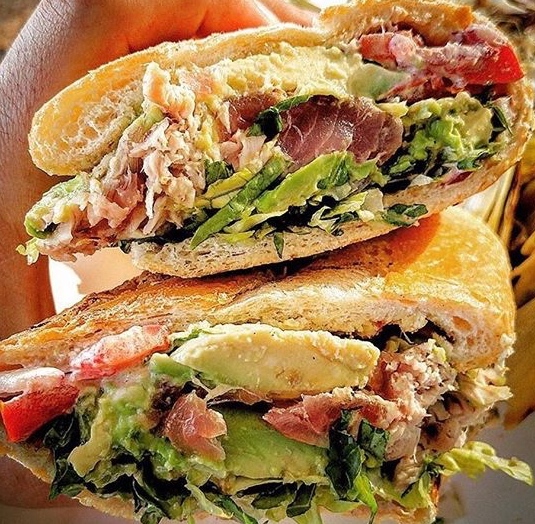 Whether you’re in the mood for a sandwich, sushi, a burrito, or some grade-A ceviche, Bear Flag Fish Co. is the place to go for an all-around delicious and delightful experience.